How the threat of fatal familial insomnia turned them into scientists with an urgent mission. The husband and wife researchers are just starting their own prion experiments at the Broad Institute lab where they work. Sonia Vallabh and her husband, Eric Minikel, walked into an examining room at Brigham and Women’s Hospital on an unusually warm December morning in 2011, two months of waiting down to final minutes. She was about to learn if she carried a genetic mutation for a rare disease that kills sufferers by stealing their sleep, their memory, and, eventually, their consciousness. The illness, fatal familial insomnia, or FFI, usually strikes at about age 50. Sonia was 27. Sonia and Eric sat down. Two women, hospital employees, chatted and laughed as they moved around the room. Is this a sign? Sonia wondered. If we’re about to receive life-changingly bad news, surely no one would be laughing, right? Then the doctor, carrying a paper with her test results, and a genetic counselor walked in. “The same change that was found in your mother was found in you,” the doctor told Sonia. Medicine had no treatment or cure for the disease, he said, but researchers had made important advances. He and the counselor left, giving the couple privacy to talk. Eric dove toward Sonia, throwing his arms around her. As terrified as they felt, it was better to know. Earlier in the fall, they’d flown to Sonia’s hometown in western Pennsylvania for a friend’s engagement party. Sonia’s father took her aside just before they left. “It’s about Mom,” he said, and her heart sank. Her mother had died a torturous death the previous year, less than 12 months after she had first turned forgetful. Soon she couldn’t finish sentences. She hadn’t slept, night after night, and had sunk quickly into dementia. She died at 52, two days before Christmas in 2010. Doctors hadn’t been able to diagnose her illness. Now Sonia’s father told her the autopsy had discovered she had FFI, a rare, genetic form of prion disease. Sonia had a 50 percent chance of inheriting the gene. Sonia kept quiet on the ride to the airport with Eric and as they passed through the labyrinth of security at Pittsburgh’s airport and boarded the plane home to Boston. After they’d buckled into their seats, she finally told him what her father had said. Eric clung to her, feeling as if he couldn’t breathe. 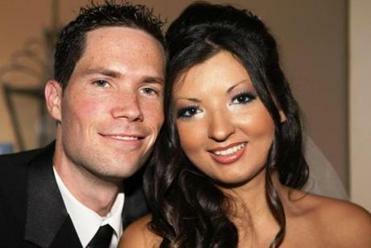 Nine months after Neil Carruthers, 34, married Tina Nedelcu, 29, her cancer returned. When he died unexpectedly, she passed two days later. Not long after, Sonia had her blood drawn for the test. Then they waited. They flew to Japan for a delayed honeymoon. They tried to distract themselves with work. Sonia had recently graduated from Harvard Law School and had a job as a consultant, Eric as a transportation technology consultant. And they began to study prions, the mysterious proteins that were the source of the disease and whose purpose no one yet understands. Friends and relatives had raised the possibility of not testing Sonia for the mutation. There is no treatment or cure for FFI; did the couple need to live under that shadow? But Sonia and Eric agreed — they had to know. They were already filled with dread. If the test were positive, it would confirm fears that already existed: that, like her mother, Sonia could remain healthy until suddenly, at around age 50, she wouldn’t be able to sleep much. She would labor to walk. She would lose her mind and likely die within a year. But that same night after learning her test results, Sonia devised a coping mechanism, a way of thinking about the disease that calmed her and carried her through the early weeks. “Here is this day in my life,” she told herself. “Neither today nor tomorrow nor for the next week is it likely that this will happen to me.” The next day, she told herself the same thing. Her body had not changed. Since the moment she was conceived, a tiny error had been embedded in one of her two copies of chromosome 20, the copy inherited from her mother. The only difference: Now she knew. That knowledge would transform — and, in some ways, dismantle — the life she and Eric had begun together. But not in the ways she expected. THE TWO WERE IN THEIR 20s when they met in Northern California, where each had moved after college. Eric, who lived in Oakland, had been invited to a dinner party in Berkeley hosted by Sonia’s housemate. Sonia had gone out that night but came home during the party. When she smiled at the table of guests, Eric saw a warmth that suggested curiosity, optimism, a willingness to be surprised and delighted by life. He thought I’ve got to get to know her. They talked, and the next day they hiked through the rain, across hills and valleys where mercury had once been mined. The hike turned into dinner, then a friend’s party, and a 2 a.m. goodbye. They fell into an intense friendship; after three months, they started dating. Soon Eric confessed he loved her. Eric and Sonia applied to graduate schools — law for Sonia and city planning for Eric — and agreed to study in the same city. After they got accepted to schools in Philadelphia, they spent a day touring campuses. That night, stretched out on the sofa bed of a friend of a friend, they talked, acknowledging for the first time that their plan might not work. Eric had also been accepted at MIT, and he really wanted to go, but Sonia hadn’t heard yet from her Boston school, Harvard Law. What would happen to their relationship if they lived apart? When Sonia got accepted to Harvard Law, they moved to Cambridge and Eric began the MIT program. They married after their first year of grad school, in the summer of 2009, in Sonia’s parents’ backyard in Pennsylvania. Each took the other’s last name as a middle name. Sonia’s mother planned the wedding. After Sonia’s diagnosis in late 2011, life changed. They threw themselves into learning everything they could about prions and fatal familial insomnia. Neither had studied much science post-high school, so they held a weekly “science night” at their apartment near Central Square with friends who taught them the basics of biology and chemistry. They took classes at Harvard Extension School. And they created the Prion Alliance, a nonprofit devoted to research into the treatment or cure of prion disease. Shortly after her diagnosis, Sonia left her consulting job to study science full time. She also started work as a stem cell technician at Massachusetts General Hospital’s Center for Human Genetic Research. Then Eric quit his transportation job to work in the same MGH department, writing code to analyze DNA and RNA sequences. The first two years were exhausting. And the science they were learning on the job did not teach them about FFI. So they studied prions at night and on weekends. Eric saved scientific papers on his phone, opening them on the Red Line between home and work, or at night when he couldn’t sleep. Sonia Vallabh and her husband, Eric Minikel, are in a race against the genetic mutation she inherited from her mother that will cause fatal familial insomnia. Through their tiredness, they learned a new way to be a couple. “It’s amazing to already be in love with someone and see them grow and impress you in new ways that you never imagined,” Eric says. His computer background now helps them analyze data, and Sonia’s work in molecular biology helps them as they begin their own research. They have found they learn faster if they work together. So many people came up to them to ask about their research that they didn’t even have time to claim their 300 euro prize. It came months later, after they were back home in Cambridge. Both Eric and Sonia were admitted to a PhD program in biological and biomedical sciences, starting at Harvard Medical School in fall 2014. And last May, Stuart Schreiber, one of the founders of the Broad Institute of MIT and Harvard, invited them to join his lab, which researches small-molecule therapeutics. They spend much of their day sitting side by side at their desks, elbows almost touching. “We were never much into personal space,” Eric says. Other patients have raised money and started companies to cure diseases that have targeted them or their families. But no one seems to have gone as far as Sonia, now 31, and Eric, 32. They’ve given up their intended careers to become scientists, devoting their lives to curing her disease. 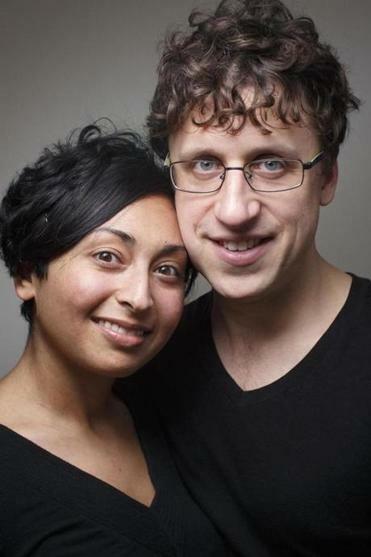 “Eric and Sonia are unique in the directness of their engagement,” Schreiber says. When the couple began to think about switching careers to research scientists, they often talked to his sister, Michelle, a doctor in Green Bay, Wisconsin. She warned them that developing a single drug can take a decade or more. “Research is slow and agonizing and tedious,” she says. She also knew how much Eric loved his job in transportation planning and worried he would miss the work. But after they made the change, she saw Eric and Sonia’s commitment to prion research and realized its worth to them. “No matter what we were doing, you could tell they were constantly thinking about it,” she says. Michelle had seen her brother’s intense drive during the year they lived together at the University of Wisconsin-Madison. He had planned to major in computer science but switched to Chinese. She watched him practice Mandarin for hours, repeating words over and over, to perfect his pronunciation. After graduation, when they were both living in California and Eric was tutoring immigrant children, he calculated that he would be able talk with about 80 percent of his students if he could improve his Spanish and pick up Arabic. She saw him devote himself, once again, to becoming fluent in new languages. PRIONS ARE MYSTERIOUS PROTEINS whose very existence as agents of disease was once debated by scientists. Everyone has trillions of prion proteins on the surface of their cells, but researchers still don’t know what they contribute to our bodies. Prion proteins, like all proteins, are chains of amino acids. The order of amino acids in a protein causes regions of the protein to assemble — or fold — into specific shapes. Prion proteins can misfold into a different, disruptive shape. If a single prion protein misfolds, it can lead the other prion proteins to misfold and clump together. Clumps of prion protein, toxic to neurons, eventually kill them. Stanley Prusiner, a neurologist at the University of California, San Francisco, who named the prion, had won the Nobel Prize in Medicine in 1997 for his research showing that prions cause degenerative brain diseases, such as Creutzfeldt-Jakob disease and bovine spongiform encephalopathy, or mad cow disease. All prion diseases are fatal. For most of us, the chance of a prion protein randomly misfolding and causing one of these diseases is very low: Sonia and Eric estimate the odds are 1 in 5,000 or 10,000. But Sonia’s genetic mutation specifically instructs the prion protein to misfold. Research suggests that nearly everyone with her specific mutation — known as D178N (cis-129M), for the amino acids that are erroneously replaced — gets FFI, usually when they are about 50 years old. Not all of the genetic mutations cause disease, they concluded. Unfortunately, as they had suspected, Sonia’s mutation was not one of the benign mutations. Others, though, have already benefited from their findings. Their research led Dr. Robert C. Green, a medical geneticist at Brigham and Women’s Hospital, to tell a patient her mutation, previously thought to be fatal, was probably harmless. The paper also offered tantalizing hope for future treatment for prion disease. Eric and Sonia found three people with another kind of mutation — one that gave them only one working copy, rather than the normal two — of their prion protein gene. These three people, including a 78-year-old woman, seemed to be generally healthy. “This is an important discovery by Eric and Sonia that opens up a new and promising direction for discovering a drug to treat the prion disease,” Stuart Schreiber says. The couple are buoyed by this hope — the potential creation of a “gene-silencing” drug to turn off the mutated copy of the prion protein gene — even though they know it faces many hurdles. They received a $40,000 BroadIgnite grant, designated for young scientists with creative ideas, to outfit their lab and start research. 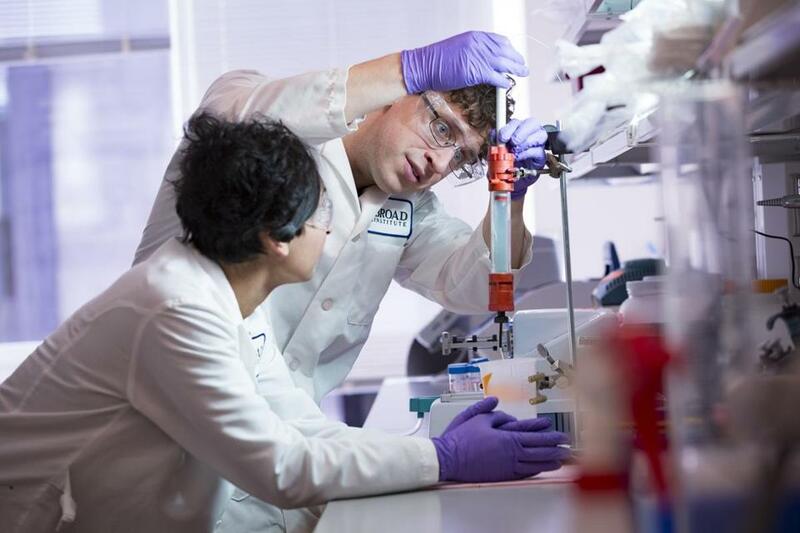 They’re just beginning their own experiments, developing a human cell model of prion disease using a new method to track prions and studying healthy prion protein in hopes of discovering ways to treat prion disease. And they have a life ahead of them, even if it’s not the life they once imagined together. Sonia finds far more meaning in her work than she ever found in the law. Someday, she and Eric would like to have children who don’t carry the genetic mutation. They hope to conceive through in vitro fertilization, using a procedure that has emerged for couples that don’t want to pass on genetic diseases to their children. Embryonic cells would be tested for the genetic mutation and only embryos with no detected mutation would be transferred to Sonia’s uterus. Last fall, Sonia and Eric spoke at the Broad to a room full of donors. Eric told them he and Sonia initially thought they had suffered terrible luck, but then they realized they had been given a chance. “It’s an incredibly special thing to have 20 years’ advance notice to work like hell to change the fate that you’ve been given,” Eric says. Kathleen Burge, a writer in Belmont, is a former Boston Globe reporter. Send comments to magazine@globe.com. This story has been updated to clarify who attended the Broad Institute presentation last fall.